I made this for the first time ever and it was so delicious! Thanks to my in-laws for their fresh mint! This limeade would not be the same without it. Great photography. I can't believe you squeezed all those limes. I have one thing to say.... YUMMY!!! We make limeaid but have never added mint. That sounds delicious. I'd love for you to link up at Fantastic Thursday. http://www.fivelittlechefs.com/2012/06/fantastic-thursday-2.html Hope to see you there! 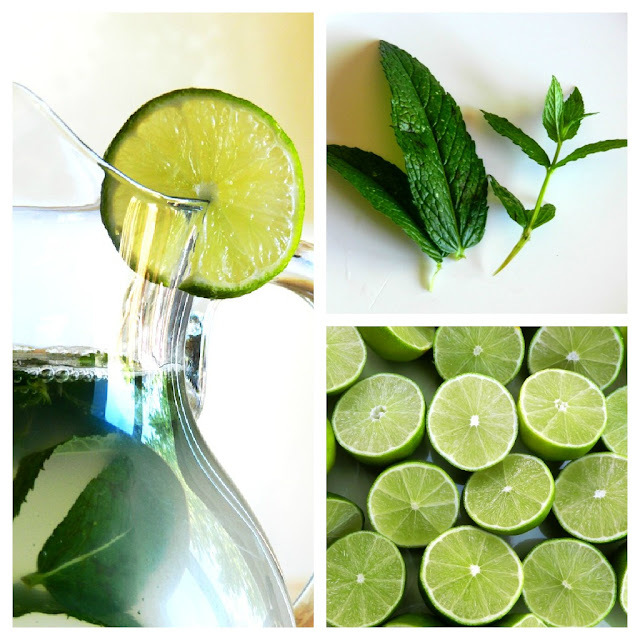 Looks very refreshing for summer :) Thanks so much for linking up to Creative Thursday this week. I can't wait to see what you link up next week. Have a wonderful weekend. Sounds good. Kind of like a Mojito minus the rum. I need more ways to use up my fresh mint, my plant is going nuts.